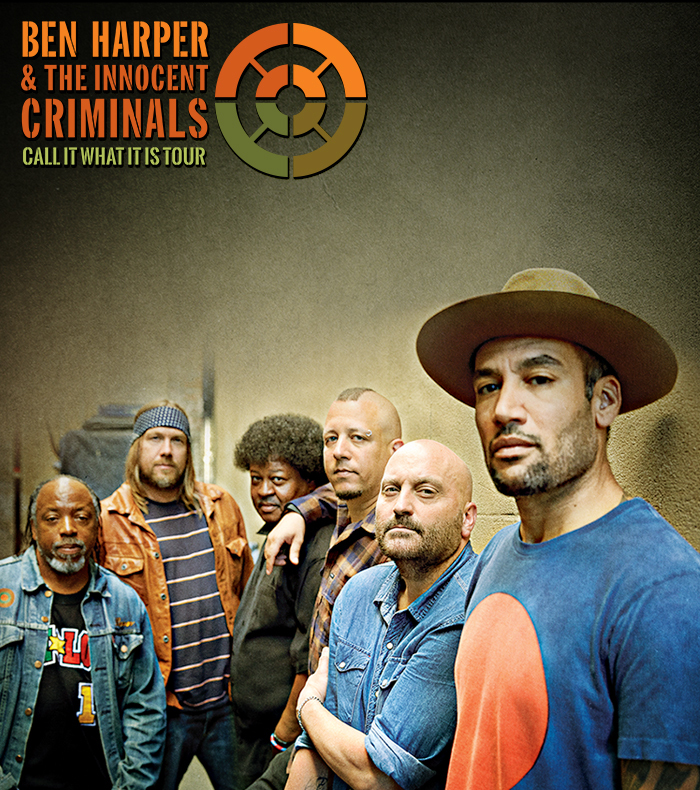 ​After a string of triumphant 2015 dates across North America, Ben Harper & the Innocent Criminals will embark on a headline tour of Australia and New Zealand early next year, marking their first national headline tour since 2007. Reunited this year after a long absence, the band kicks off the Australian tour On The Steps of the iconic Sydney Opera House Forecourt on Wednesday 2nd March, followed by performances in Brisbane, Perth and Adelaide, wrapping up Saturday 12th March in Melbourne. Tracing their roots back to 1993, the Innocent Criminals (percussionist Leon Mobley, bassist Juan Nelson, drummer Oliver Charles, keyboardist Jason Yates and guitarist Michael Ward) were involved in many Ben Harper projects before going on hiatus in 2008. The band toured nonstop, earning legions of fans thanks to explosive live performances and a succession of acclaimed studio albums including Fight For Your Mind, The Will to Live, Burn to Shine, Diamonds on the Inside and the Grammy nominated Lifeline, their last studio album together in 2007. The Innocent Criminals also backed Ben and The Blind Boys of Alabama on the two-time Grammy winning collaborative album There Will Be A Light in 2004. In more good news for fans, Ben Harper & The Innocent Criminals are now wrapping up recording of their new album Call It What It Is. Due for release in April 2016, it will be the band’s first new album in eight years. Australian audiences will be among the first to hear new songs from the album, along with classics such as Burn To Shine, Steal My Kisses and Diamonds In The Inside. Tickets for all shows go on sale at 10am Monday, November 23. Telstra Thanks presale from 12pm Wed 18th November until 12pm Fri 20th November.